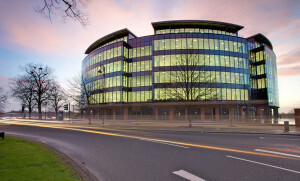 Acting as Employers Agents and Quantity Surveyor for the above, Chester HQ has now been open for 5 years achieving Practical Completion in August 2010 on behalf of our Client, Liberty Properties. This luxury apartment block concedes of 34 luxurious apartments. The HQ, situated directly next to Chester Racecourse, has a vibrant address incorporating high quality offices and a luxury hotel by Abode.